Since inception and through fundraising efforts, AMF has supported research for new treatments in melanoma. AMF expanded to successfully contributing to the general community with education and awareness programs as well as to the patient community through patient support groups, a critical need for patients with this disease and the unique issues they are facing. The AMF has achieved national recognition in recent years for its education and awareness information and programs, support programs through direct events and other communication vehicles such as a quarterly newsletter and via its website. The AMF wishes to continue the success of these programs and expand into new geographic areas in need of these important services. The AMF is a 501 (c) (3) agency and is registered as a charitable, non-profit organization. The AMF is governed by a volunteer board of directors comprised of medical and corporate professionals along with community members who have an interest and commitment to preventing and fighting melanoma. In addition to our volunteers and board members, the AMF is supported by a renowned Medical Advisory Board, comprised of leading clinicians in the melanoma field. Contact the AMF Medical Director, Dr. Mona Mofid, at 858-412-3271 or use the Contact Link above to submit an inquiry to find out how you can help. 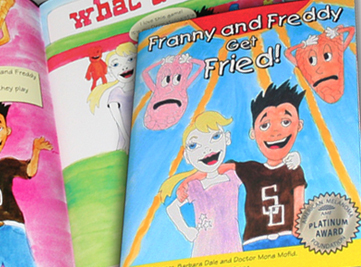 Franny and Freddy Get Fried is a cautionary tale about two kids who learn about the ill effects of sun exposure to their skin. Click above to download the ebook. 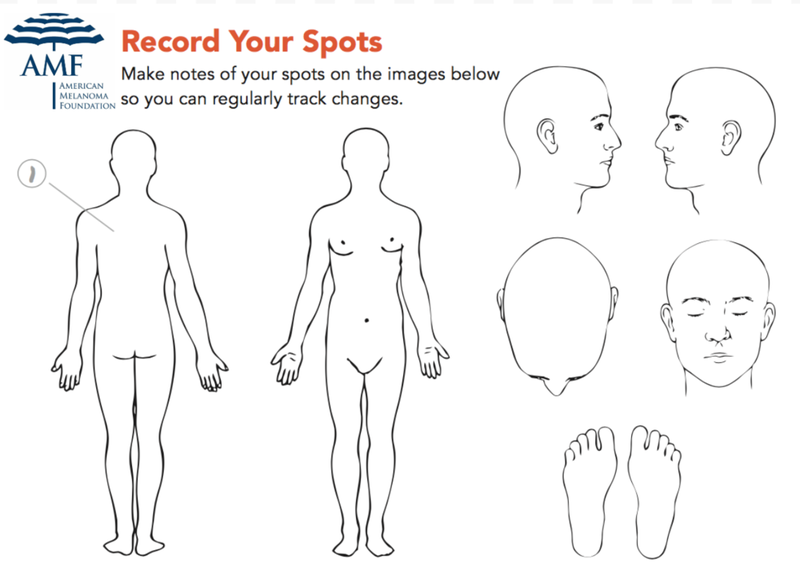 Stay Skin Cancer free by using this self skin check body map to document new and changing spots on your body. Click above to download it. Sun Protection Zone is generously offering an American Melanoma Foundation exclusive; use the coupon code "AMF" to receive a 15% discount on all orders at Sun Protection Zone and partner company Tutublue. Yogi Bear and The American Melanoma Foundation team up for a creative and colorful Public Service Announcement. Click the link above to watch the PSA. 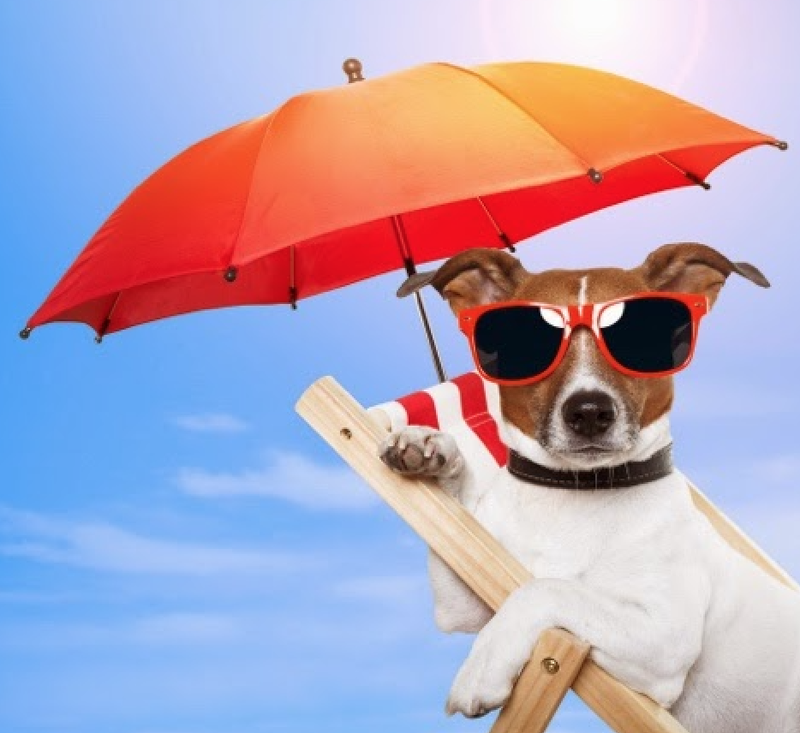 Stay sun safe and alert by checking your UV Index and signing up for email health alerts. Click above for more details.